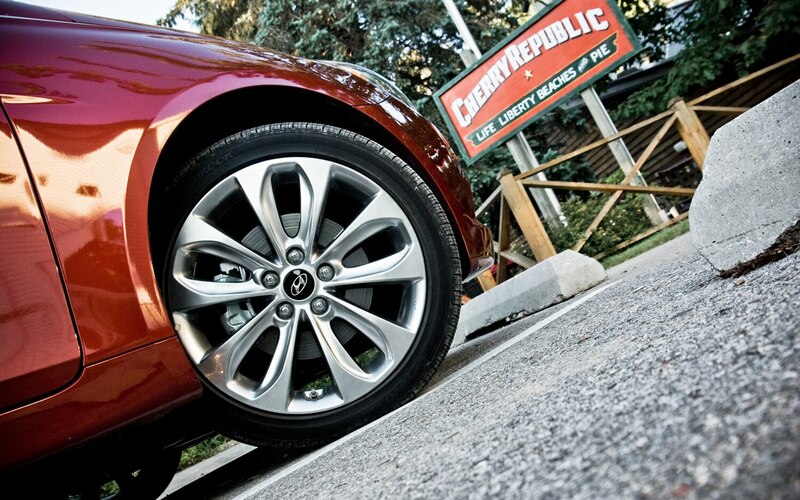 It’s fair to say that we were surprised by the Hyundai Sonata. Granted, the previous Sonata was a competent offering, but it was not exactly a standout. With the new Sonata, however, staff members suddenly started tossing around phrases like “best-in-class.” Against such stalwart competitors as the Honda Accord and the Toyota Camry — and solid challengers like the Nissan Altima, the Ford Fusion, and the Chevrolet Malibu — that was a very big claim. The best way to find out for sure whether the Sonata was deserving of such enthusiasm was to spend a year with one in a Four Seasons test. The Sonata comes in three flavors: GLS, SE, and Limited. We chose the midlevel SE, which is also supposed to be the (slightly) sporty version. For the SE, there’s only one powertrain: a 2.4-liter four-cylinder engine and a six-speed automatic transmission. You might think the six-speed manual would be available on the SE, but it can be had only on the base GLS. We added the navigation and sunroof package (which also includes an upgraded audio system) and a cargo net, bringing the total price to a still very reasonable $25,965. Strong and smooth, perhaps, but not silent. 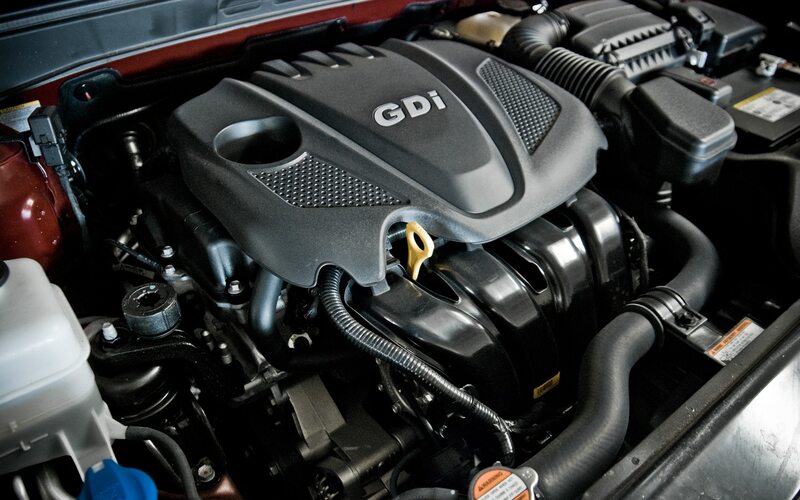 This four-cylinder is direct injected, which aids efficiency but often makes for a noisy engine. More than one driver thought that the engine’s gravelly idle sounded almost like that of a diesel, although most were not bothered by the powerplant’s patter once underway. New York and 36 mpg on the return. (The EPA rates the Sonata at 35 mpg on the highway.) Everyone appreciated the long highway cruising range, which could exceed 500 miles. In all, we averaged 28 mpg over 26,679 miles. An extra-tall sixth gear aids the cause of highway fuel economy, and the six-speed automatic was mostly well behaved — Tingwall credited it with “some of the smoothest gearchanges in the mid-size segment” — with one exception. On a few occasions — low traction, big throttle opening — the engine would bang off the rev limiter before the transmission shifted into second gear. The standard-fitment Hankook Optimo all-season tires appear to have been chosen for their low rolling resistance, because they didn’t come across as a particularly sporting choice. They were quick to protest during enthusiastic cornering. Nor were the brakes the stuff of enthusiasts’ dreams: New York bureau chief Jamie Kitman characterized them as “lifeless and weak,” and Floraday described an emergency stop on I-94 as “not the most confidence inspiring.” Our measured stopping distance of 175 feet from 70 mph was not bad, though. Actually, we were quite impressed with the Sonata overall. 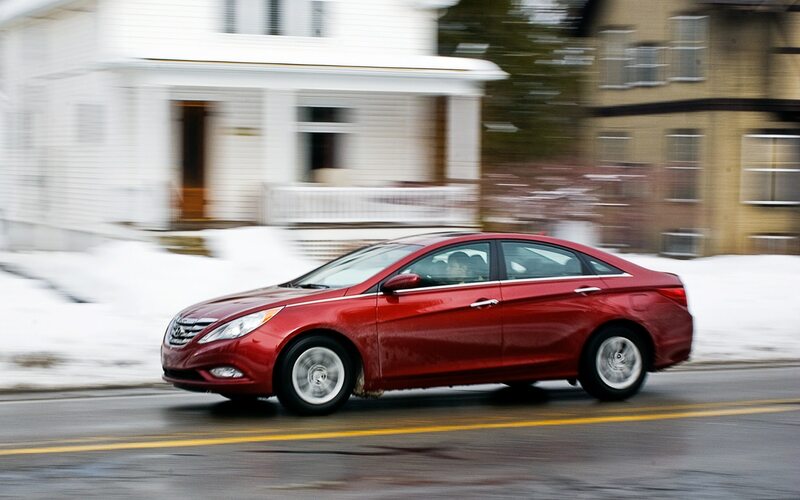 “Hyundai has finally gone from catching up to the competition to raising the bar with the Sonata,” said Floraday. “In a segment where progress is often measured in baby steps, the Sonata seems to have made a giant leap,” echoed Zenlea. “The last generation brought respectability. 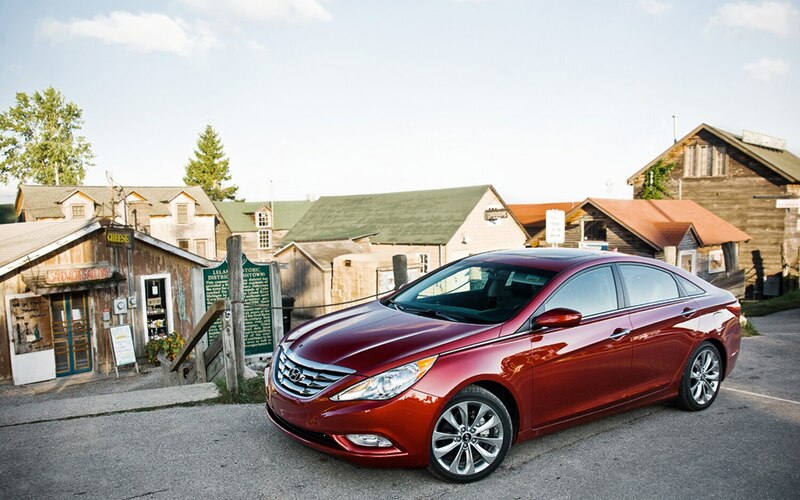 This one joins the best in the class.” We should point out that the Sonata is also the newest car in its class. 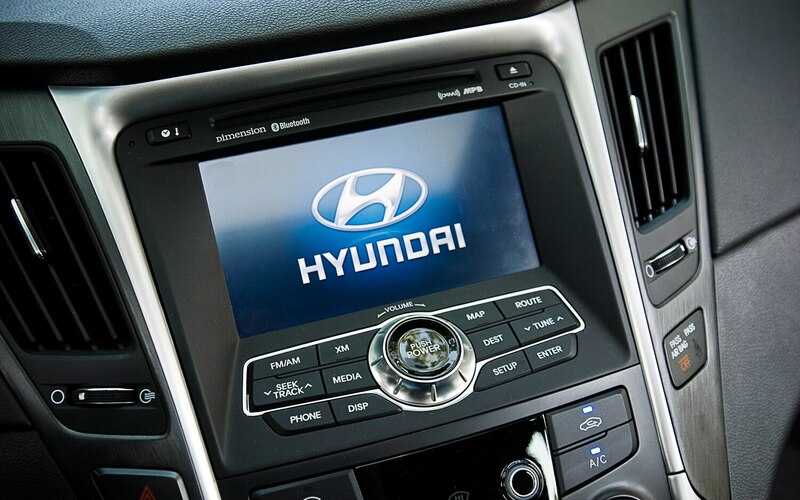 Staying on top won’t be easy, but if Hyundai can do it, this time we won’t be surprised.